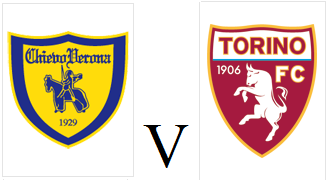 Torino will look to win two consecutive league games for the first time all season when they face Chievo Verona on Tuesday afternoon. The Granata will be without Jean Francois Gillet and Omar El Kaddouri due to flu, so Daniele Padelli and Giuseppe Vives should come into the starting eleven. Amauri was preferred to Fabio Quagliarella for the victory against Genoa, but the former Napoli striker should return to the team and parter Josef Martinez upfront. Chievo are currently two places and one point behind Toro in 16th position and feature a number of former Granata players in their squad such as Riccardo Meggiorini and Valter Birsa.